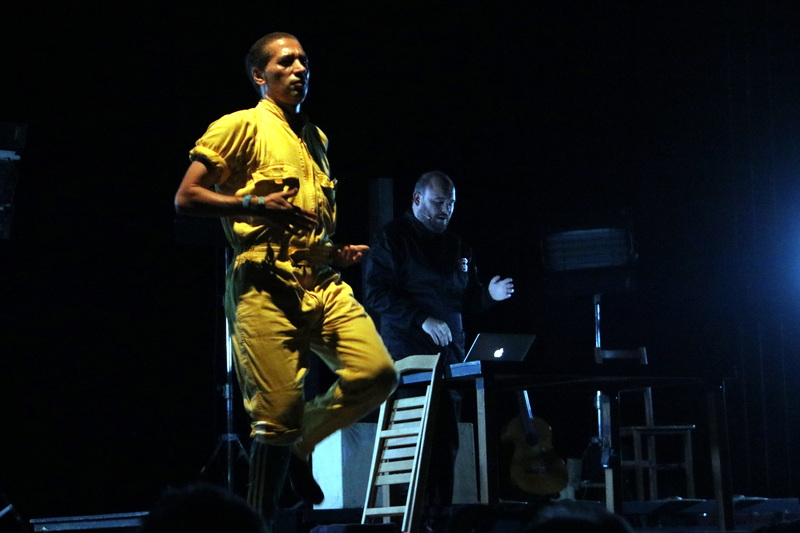 The 25th edition of long-awaited innovative music festival Sónar kicked off on Thursday June 14, to bring over the course of two days a lineup including Thom Yorke during his only European stopover, Gorillaz presenting their new album, LCD Soundsystem, Modeselektor, Bonobo, Diplo, Laurent Garnier, and more. Even just the first day saw a diverse array of styles. At Sónar by Day at the outdoor Fira de Montjuïc venue, some of the first performances saw the hypnotic and political dance tracks of Congolese band KOKOKO!, often performed with instruments made from everyday items. One of the more experimental acts was that of Niño de Elche & Israel Galván, who reimagined flamenco for a rapt audience. This, added to a dance music trifecta: LCD Soundsystem’s James Murphy and collective 2manydjs (with brothers David and Stephen Dewaele), for the first of a six-hour performance to be repeated over three days, called DESPACIO. Composer, producer and electronic music DJ Laurent Garnier went through his musical career in a performance on Thursday, June 14. In a set at Sónar by Day, called ‘Laurent plays Garnier,’ the DJ showcased his tracks from the mid-‘90s until his last LP in 2009. This won’t be the only time Garnier gets on the decks during the festival: he’ll be playing a full four hour set on Saturday at Sónar by Night. And Sónar isn’t just for electronic music fans. 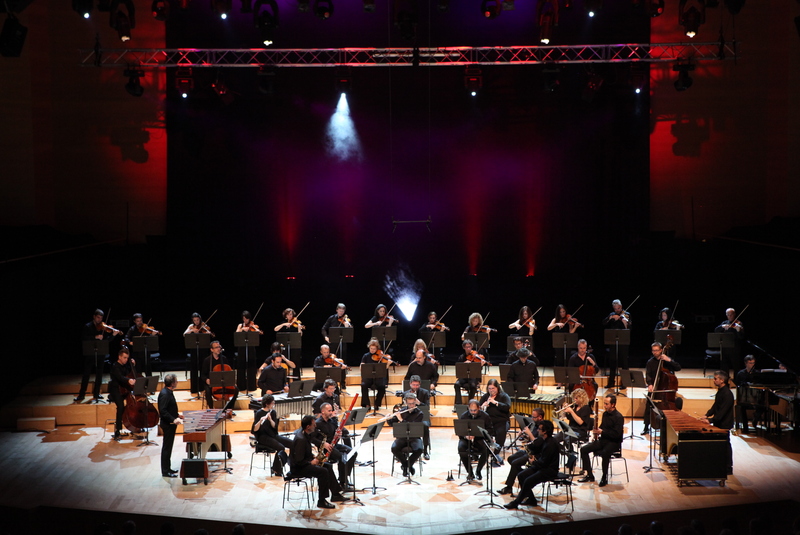 An equally impressive performance was given on Thursday by the Barcelona Symphony and Catalonia National Orchestra (OBC) interpreting a minimal piece by Terry Riley. The piece was originally written for an undetermined number of instruments, it comprises 53 small musical fragments. Each musician executes them in order, but with a certain freedom and interacting with each other. The result is an auditory wave that evolves constantly around C.
June 15 also marks the opening of Sónar by Night, a chance to dance until dawn to some of the best tracks by the most renowned electronic music producers in the world. In total, during the whole festival, there will be 230 activities, as well as 150 artists to perform on 9 different stages. This ’18 edition disposes of a budget of 9.2 million euros and is hoping to bring in similar numbers as last year, which reached some 124,000 attendees. And Sónar isn’t just a festival. This very sentiment was expressed by Barcelona mayor Ada Colau during one of the events to kick Sónar off, an audio-visual laser installation called ‘Chiasm’ held in the City Council itself. This, alongside Sónar+D, four days of conferences and installations that will explore the next 25 years of music, internet, space travel, and knowledge itself.